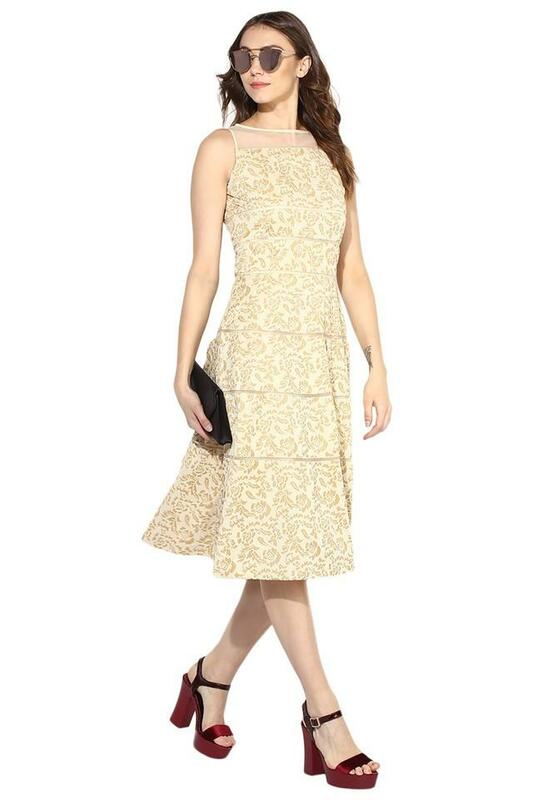 Women, who swear by classy fashion will surely love this midi dress from the house of Soie. It has a sheer yoke at the front and back which perfectly complements its printed pattern. 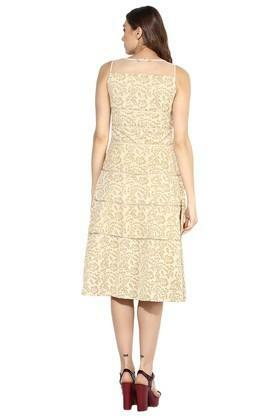 Besides, it scores quite high on the comfort quotient as it is crafted from top quality fabric. 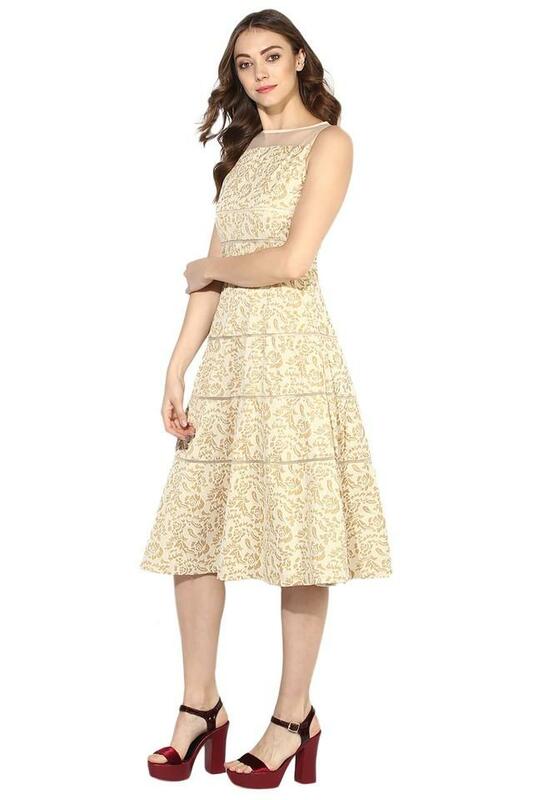 Envisaging your fashion preferences, this dress has been designed with an impeccable precision. You can club it with a pair of high heels to step out in style.